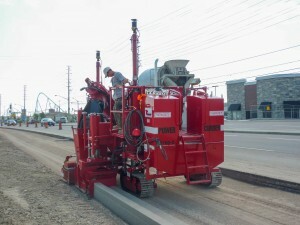 Thorncrete Construction Ltd is the largest curb and gutter contractor in all of Ontario, Canada. 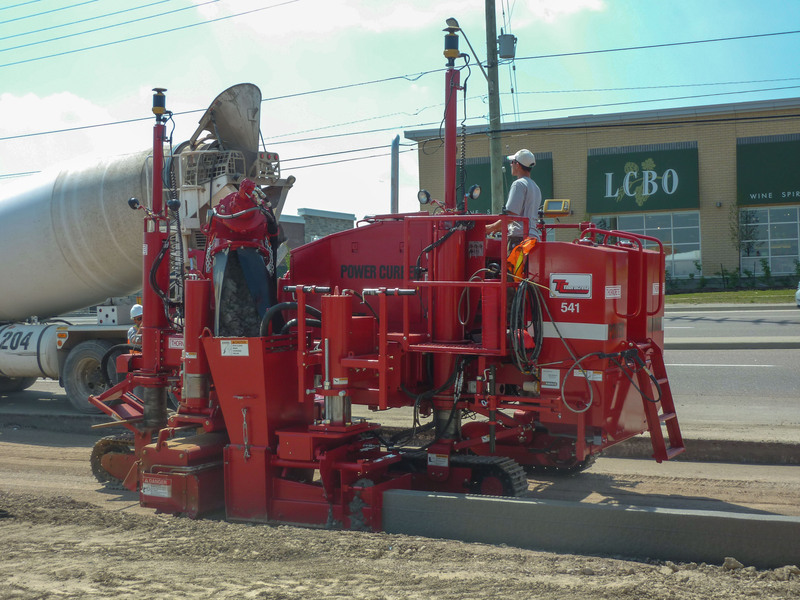 Established in 1973, the company grew from a small family business with one machine to a major concrete player running five curb and gutter machines and employing 210 employees. Throughout the decades, Thorncrete relied on one manufacturer for their slip-form machines. 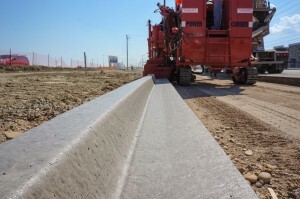 In recent years, Thorncrete saw a need to change to become more productive and to take advantage of technological advancements in the slip-form industry. 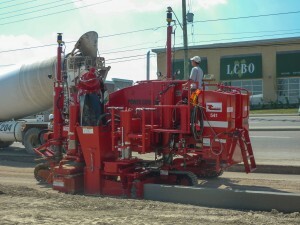 Specifically, reacting to demands of their customers, Thorncrete decided to begin pouring without a stringline. 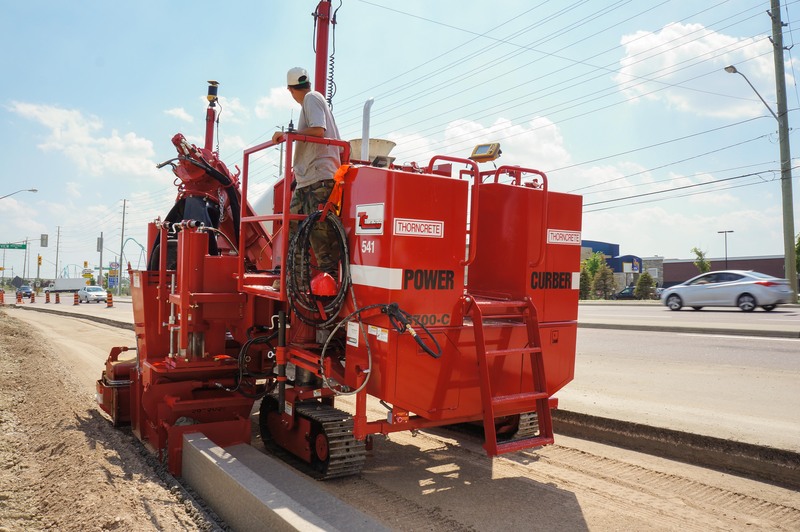 Ross and John Ruscica, brothers, and owners of Thorncrete contacted Amaco Equipment, the local Power Curber dealer and began researching the Power Curber 5700-C equipped with Topcon Millimeter GPS and became the first Power Curber customer to pour without stringline using a Topcon system. “We chose the Power Curber 5700-C due to its compact design and ability to set up and maneuver easily on site”, said Ross Ruscica. 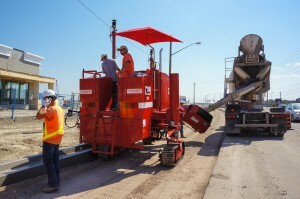 Making the leap into stringless technology is a big one for curb and gutter contractors. 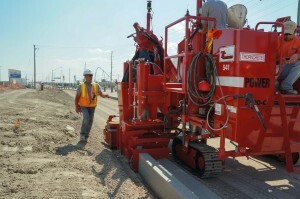 Ross has found that the accuracy of millimeter GPS is equal to a machine pouring with stringline. 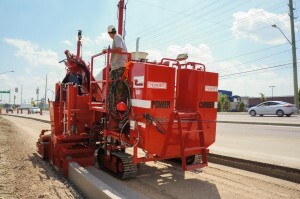 After more than 30 years with a competitor’s machine, Ross and John are believers in Power Curbers.